A well-written essay can help you win a scholarship to college or admission into your top choice college or university! Though not all colleges require an essay for admissions, most scholarship applications do. I won a full academic scholarship and numerous others. You can, too, with a little planning, a little writing and a lot of editing of your scholarship essay. According to Kelly Tanabe, author of Accepted! 50 Successful College Admissions Essays and cofounder of supercollege.com, you should begin thinking early about how the activities you're involved with will provide fodder for essays. She says having a long-term commitment to activities is important. Robert Lagnese, assistant director of admissions for transfer services at Slippery Rock University in Pennsylvania, encourages students to get involved in some new activities as well. "Do something you wouldn't normally do to make yourself more diverse and marketable in the long run," he says. New experiences can provide great subjects for essays. After examining your activities, begin brainstorming about possible topics for your scholarship essay. Tanabe says brainstorming about experiences that have impacted your life gives you some ideas for writing essays. She says that many scholarship essay questions focus on leadership experiences, future plans and community contributions. "It's probably not realistic to think you would have an original topic," Tanabe says. "But what's most important is that you have an original approach to your topic. 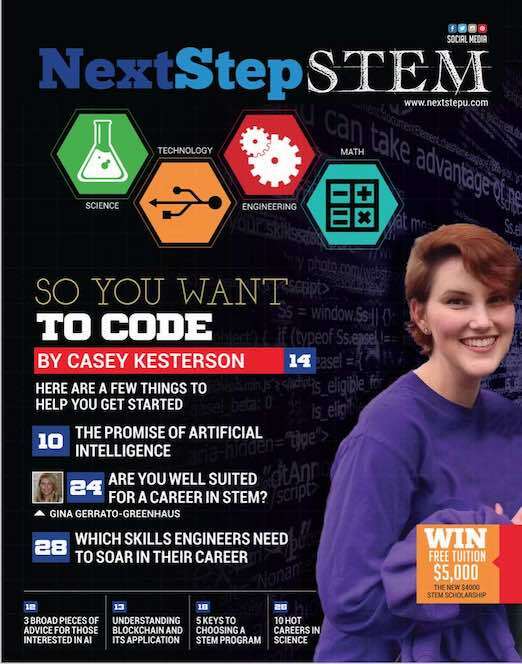 Jim Hohenbary, scholarship adviser at Kansas State University, says most scholarship committees look for how you fit in with the goals of the scholarship and where you are headed. "Your accomplishments in the past are important," he says. "But that sense of where you are going is also extremely valuable as they seek to decide among many qualified students." Once you sit down to actually start writing your scholarship essay, review the question and make sure your topic answers it. Tanabe says that essays can occasionally be recycled, but only after tailoring it to the specific scholarship or college. Lagnese says your essay should have a clearly stated point that answers the question and then provides details supporting that point. He says that storytelling is the best way to convey your message about yourself, which is your ultimate goal. "That scholarship essay is my way of getting to know you," he says. "The essay really allows me to become familiar with the student and get to know him better." Your essay should show who you are, which can be best done by telling about your experiences. "Even when the experience is not unique, your thinking about that experience surely is," Hohenbary says. Though you want to be yourself when writing your essay, there are a few mistakes to avoid. For example, Hohenbary says that using an elaborate metaphor to organize your scholarship essay never works. He also says not to rehash your résumé. "The essay is where they get to see how you think," he says. "And if you just repeat your résumé, you are not showing them much thinking." Tanabe says some of the other biggest mistakes she sees students make are: not answering the question; getting off track; and not talking about themselves. She says other common mistakes include misspelling names or referring to the wrong college or scholarship in the essay. Above all, Lagnese says you should remember that someone is actually going to take time to read the essay, so you want to make sure it's as good as possible. Once you've written the essay, the process is far from over. Though spelling and grammar checks are helpful, you also need to read the essay a few times to catch other technical mistakes. When the grammar, spelling and punctuation are correct, then begin looking at the essay for content and flow. Check, again, to be sure the essay answers the posed question. Think about whether it portrays your unique experiences. Tanabe recommends doing what she calls the thumb test. "If you put your thumb over the name at the top of the essay, is your name the only one that could go there?" she asks. Hohenbary suggests reading your essay out loud. Reading it out loud helps you determine if the essay sounds like you and if it flows well. "Repetitive writing, tortured syntax, too many $5 words, sentences that don't actually mean anything: A lot of these sorts of problems shriek and writhe in agony when you put them in the air instead of letting them just lurk on the page," Hohenbary says. Once you feel your essay is good enough, present it to friends, guidance counselors, teachers and your parents. Ask for their opinions. They will be able to see mistakes you missed, and they will also be able to give you input as to whether the essay represents who you are. Tanabe says, though, you should beware of showing it to too many people, else you'll be overloaded with conflicting feedback. The final step is to print the essay on clean, plain paper. Tanabe said using regular white printer paper with black ink is best. "The words you put on the paper are much more important than the type of paper you use," she says. When all is said and done, you should have an essay you can be proud of, one you can submit to the college or scholarship committee and know you have done your best! 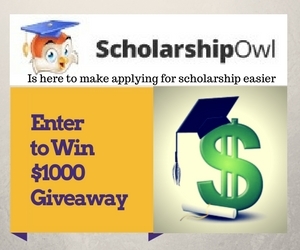 Find more tips on how to write a scholarship essay. 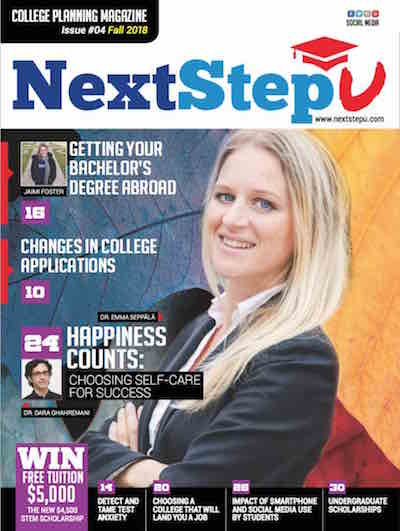 Enroll in NextStepU today!